Madam Jane, you lived to witness the pain of motherless children. You took the responsibility and filled the missing 'mum' gap in these children's lives. 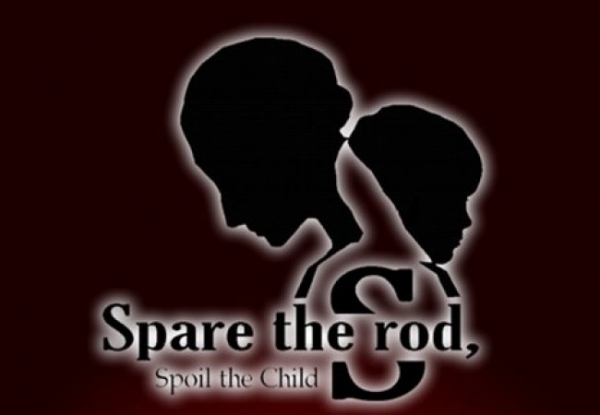 Above all, you remembered to use the rod lest you spoil them children. Your encounter with Steve was one I'll live to remember. Do you remember him? He was in fifth grade when you joined his school as an English teacher. He was the most silent, gloomy and careless boy in class. He sat at the furthest corner near the window that faced the school fence, beyond which there was a street. He was absent-minded in most of the classes, always looking outside the window in deep thought. Occasionally he would be sleeping during classes and especially the ones he considered boring. The day you came for your first lesson, he was as silent as usual. You seemed not to have noticed him sleeping when you got the class reading a storybook, one paragraph per student. You know, you were the first teacher not to have bothered with trying to get him to concentrate in class; most other teachers would scold him while others would send him out of the class. Other teachers would complain about his results which had started to dwindle since he was in second grade. It didn't make any sense how he could go from being the brightest kid in class to being the dumbest. You didn't seem to care...how couldn't you? When you left the class that day, he smiles for the very first time and kept doing so for the longest time every time you came to class. Something about you made him, and every one in that class, love you to the brim. You became everyone's favorite in class, remember? You were both lovely and loving. I remember your birthday, Madam Jane. That day we all brought gifts for you. It was a big day. We sang 'happy birthday' to you, made song and poem presentations and even had you cut a big cake. I have to say, it was the best cake I ever ate, I wonder who made it. Steve brought the smallest gift. Everyone laughed at him and he cried. It was a perfume that was a quarter full. He said it suited you because you resembled his mum who had passed on when he was in grade 2. He sobbed and cried hard that day, and you held him in your arms like he was your own. I remember your words, “It’s okay child I'm here for you, you can let it all out." I hadn't heard any mum say that to any kid before yet you said it to one who wasn't even your own, what a woman you were! You took charge of him ever since. Giving him motherly emotional assurance, a shoulder to lean on and you took his hands in life and led him on. The lunches you brought him were always the best; he would let us have a taste every now and then. I remember how under your watch and care he became lively once again; he got back to being a playful child with a jolly-go-lucky mood, his grades improved so drastically; he was restored to his former self. He is a doctor now. A big picture of you hangs on a wall in his mansion house and he talks about you every single day. He may have been a spoilt child, Madam Jane, but you used the rod on him. You didn't use the rod to beat the hell out of him...Nooo; you took the rod in your hands as a sign of authority and got him to follow your lead all the way to greatness. In love and tenderness, you did it. You demonstrated something 99% of parents do not comprehend. Parents don’t understand how to lead in love, they don't know when to watch and say nothing, they don't know the right time to act neither do they know how, it's chaos up here in the world today. Am glad I got to witness that kind of love and wisdom, it has been handy in many a situation. Next year we will have our second born child, it will be a girl. We will name her after you, Jane; she will be named Jane Sanders. I pray she will look like her daddy, Steve, and take after your goodness. I hope she has your blessing. As for my husband Steve and I, you will forever live in our hearts. You will forever be our mum, our foundation and our most adored. Rest in peace mama, we love you.